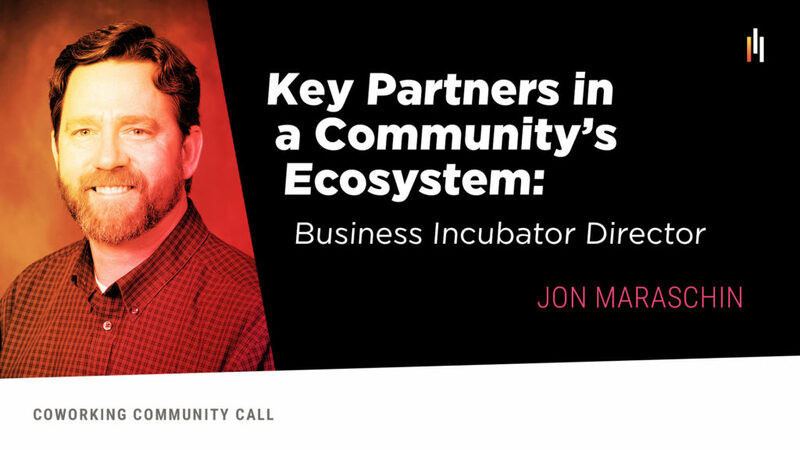 In this Coworking Community Call, we sat down with Director of the Grand Junction Incubator, Jon Maraschin. We cover what a business incubator is, what types of services they offer, what it looks like for a small business to work with an incubator, as well as what incubators may look for in a small business before collaborating. Our hope for you as listeners is that you will be able to build a partnership with an incubator in your own community. If you’re interested in reaching out to Jon, his contact information is below as well as the replay of the call!